This exceptional course, which is consistently rated in the top fifty golf courses in Texas, is set in the beautiful hill country of south Texas. 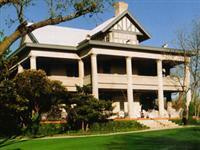 It offers both an outstanding test of golf and breathtaking views of the surrounding area. The course features beautiful bentgrass greens with an interesting mix of water, sand, and tree hazards. The uphill and downhill holes and elevated greens provide golfers of all abilities with a challenging and enjoyable experience year-round. 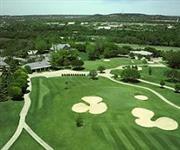 The Course is complemented with practice greens for putting and chipping and driving range. Attractive and inviting Men's and Ladies' Locker Facilities, the Turning Point Restaurant, and the separate Golf and Tennis Pro Shops serve the needs of golfers and tennis players. Swimmers enjoy the clear blue swimming pool on warm spring and summer days. Our Tennis and Golf Pros provide lessons for all ages.